New video footage shows the Lebanese-based Shiite group Hezbollah being involved with terrorist activities in both Yemen and Saudi Arabia. The Government in Yemen confirmed that Hezbollah is directly caught up with the war tearing through the country between pro-legitimacy forces and insurgents. The insurgency is being led by Houthis and militias affiliated with the ousted former President Ali Abdullah Saleh. 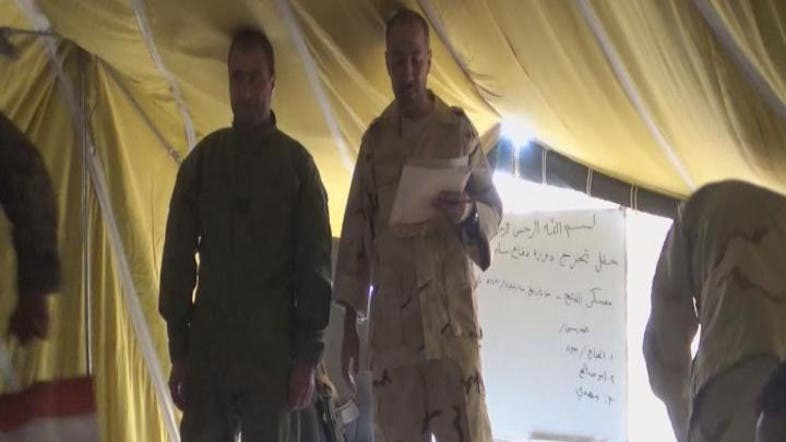 The video recording broadcasted exhibited a Hezbollah commander referred to as “Abu-Saleh,” who is responsible for training Houthi militants. Training revolved around operations that will take place in Saudi Arabia in the future. The Hezbollah commander dubbed them: operations “impair Saudi Arabia”. Abu-Saleh reveals plans for assassinating high-up figureheads in Riyadh, the assassinations would be carried out by terrorist attacks and bombings. When the Hezbollah commander describes the process, a Yemeni recruit answers saying that it conveys suicide-attacks, however, the commander rephrased the explanation saying that it was “martyrdom”. Throughout the leaked video Abu-Saleh hints that there are terrorist attacks scheme planned for Saudi Arabia, yet the latter refuses to reveal their details before the Yemeni recruits, for being confidential.